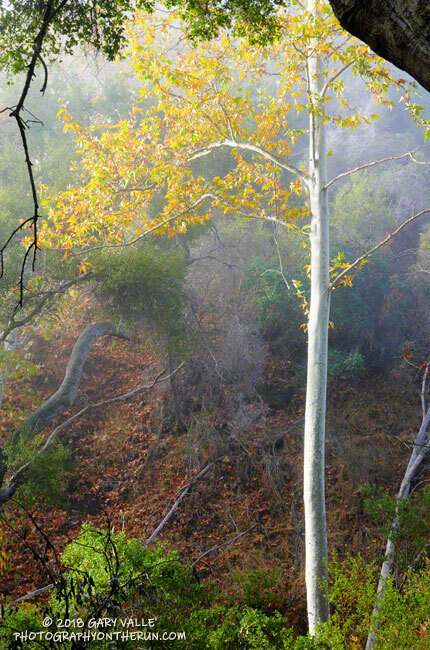 A sycamore in Dark Canyon aglow in fog-filtered morning light. 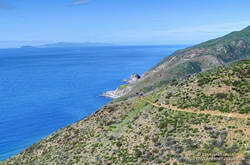 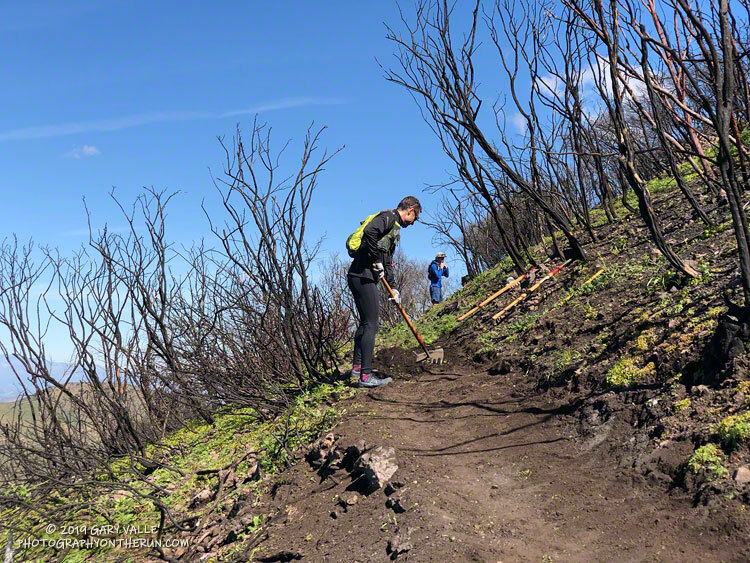 Also from Saturday’s run on the Lower & Upper Stunt High Trail and Backbone Trail. 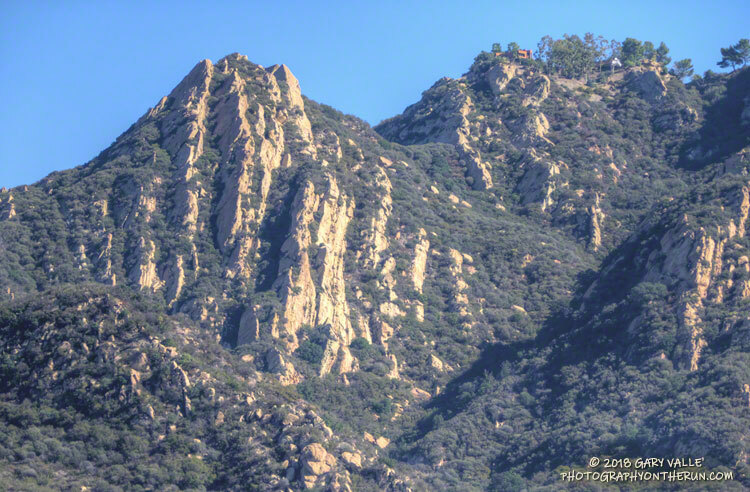 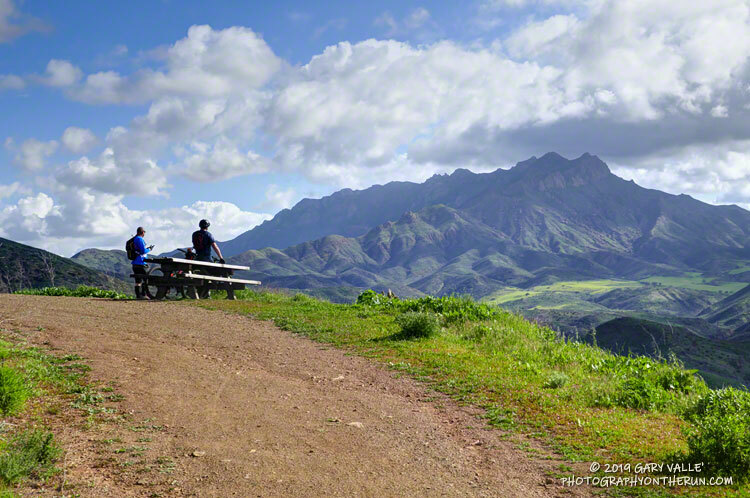 The “saddle” of Saddle Peak, photographed from the Backbone Trail, near the Piuma Road crossing. 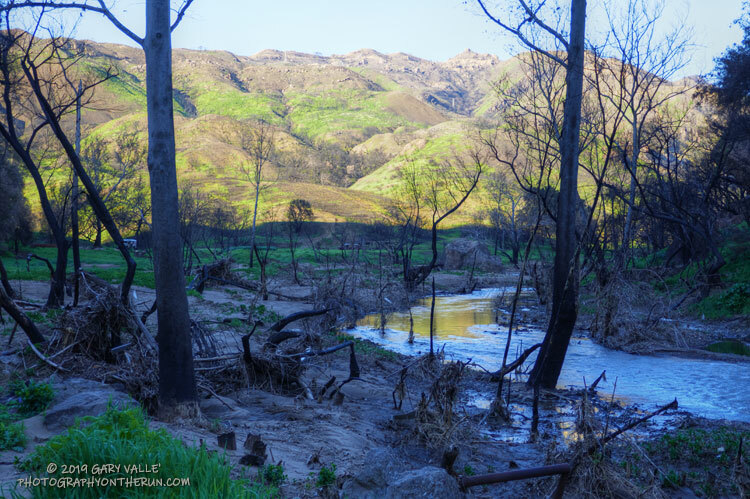 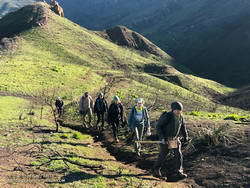 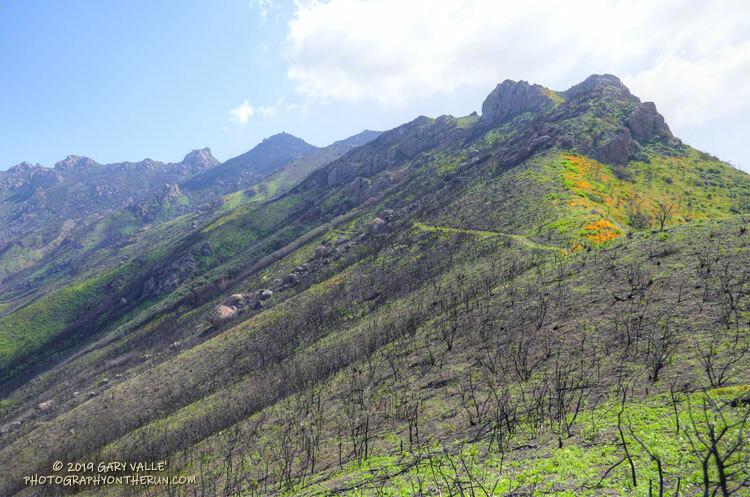 From Saturday’s run on the Lower & Upper Stunt High Trail and Backbone Trail to Malibu Creek State Park and back.